Santa Fe has several really special restaurants. For our first dinner, we went to a great spot close by – Bistro 315. Above our table was this window with the wine bottles all lined up. 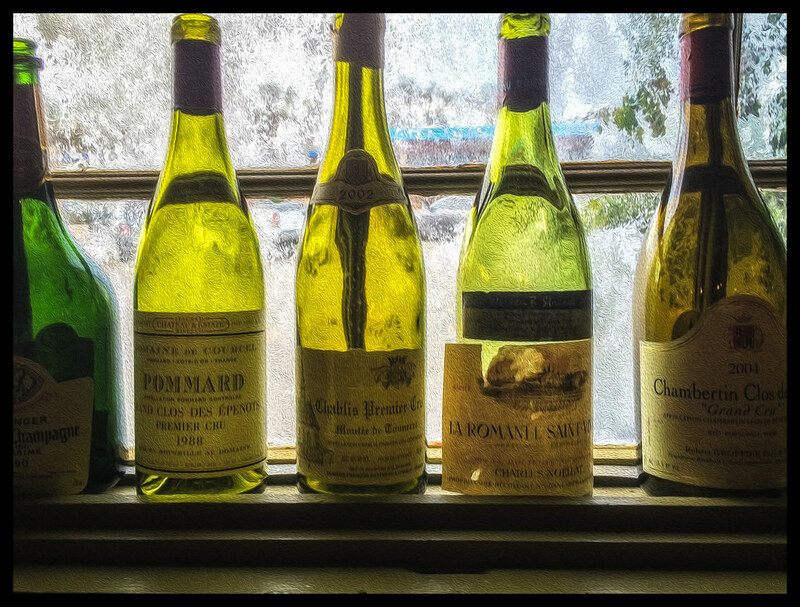 In fact, all of the windows had wine bottles lined up! I shot this with my iPhone 5s and added a bit of texture in Photoshop CC using the oil paint filter. The texture on the window almost looks like frost – but it wasn’t frosty in Santa Fe! I love how the label on one of the bottles is peeling off – adding visual interest. We had the D’alfonso-Curran 2008 Chardonnay with dinner – a pretty amazing wine!